your asset management system keep you tied to your desk. Plans are available to meet your company's needs. Get Started Today. asset management tool that gives you control of your assets with the click of a mouse, or the touch of a finger. 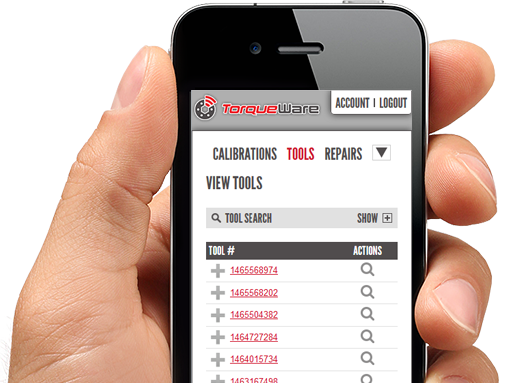 Take Torqueware on the go with you using your smart phone or tablet. 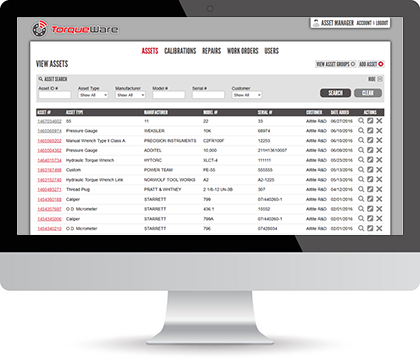 Hosted in the cloud, Torqueware is available 24/7 with just a web browser. With configurable user roles, give your users the access they need. Torqueware Pro is a cloud-based asset management software that allows you to track your assets and upload and attach documents, pictures calibration certificates, etc to your assets. You can also attach an asset sticker with a QR code to your assets that gives you real time access to your assets' information with any smart phone or tablet with internet connectivity. So what are you waiting for? Get started with Torqueware Pro Today.